Drizzle some olive oil in a pan on low heat and place salmon fillets skin side down. Cover and cook for 10-12 mins and set aside. Melt butter in another pan on medium heat; add garlic, spinach, capers and dill. Cook for 5 mins. Add mixture and cracked pepper to cooked pasta. Stir through until evenly spread. Place rocket into warm pan, stir through to soak up juices until slightly wilted. 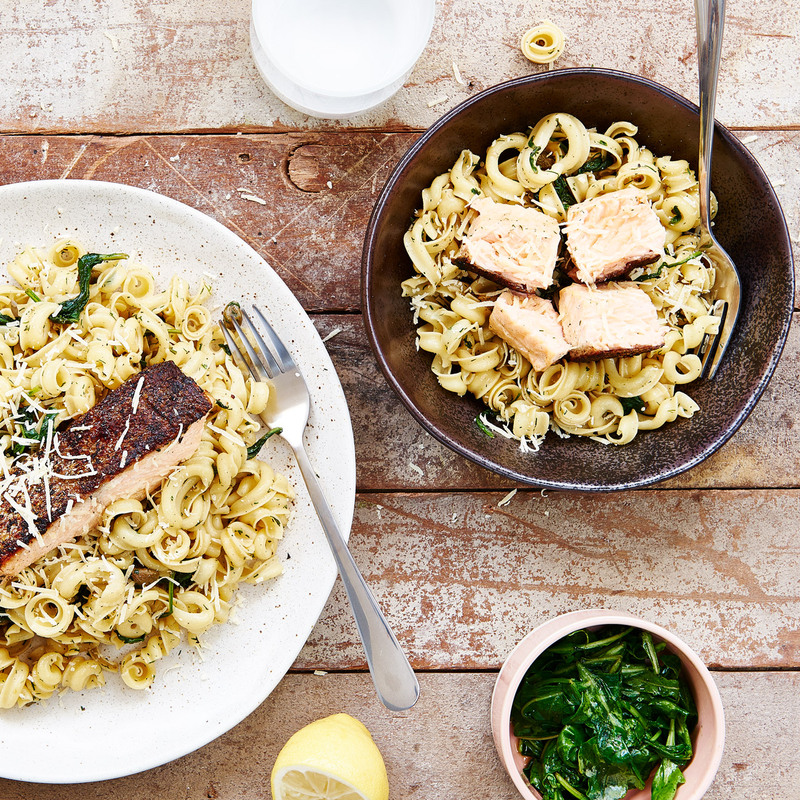 Serve pasta with salmon on top, squeeze of lemon and rocket on the side.